Delicious Tomatoes are an excellent slicer. 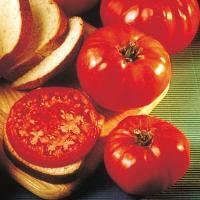 Delicious Tomatoes have fruits over 1 lb. Delicious Tomatoes are solid and meaty.